The New York Times and the Wall Street Journal today reported on a new study by the University of Texas that found leakage rates of methane from natural gas fracking operations are lower than previously stated by US EPA. This report found that direct measurements of methane emissions from 190 onshore natural gas sites in the United States indicate that methane emissions from completed wells are are lower than commonly thought although the report also acknowledged that emissions from pneumatic controllers and other equipment associated with natural gas production facilities were higher than previously estimated. The report also concluded that taking into account the lower emissions from completed wells and the higher emissions from other equipment, actual methane emissions are most likely 20% lower than previously estimated. This report has created a large buzz on the internet because at issue is whether natural gas is a bridge fuel to lower the threat of climate change. If the methane leakage rate is less than 3.6%, then it is widely assumed that natural gas is better than coal. That is, if leakage levels are below this level it is generally assumed that switching to natural gas lowers the US carbon footprint and therefore greater natural gas production should be supported by citizens concerned about climate change. As a result the methane leakage rate issue has gathered enormous interest in climate change policy discussions.. Studies of methane leakage rates have reached widely different conclusions about actual leakage rates in part because different studies have used different: measurement methodologies, types of wells measured, portions of the the entire natural gas production process, and assumptions about leakage in the gas distribution process. The recent University of Texas study acknowledges that there are elements of the natural gas production to consumption cycle that were not fully considered. And so, it is likely that scientific conclusions about methane leakage rates will continue to change from study to study in the next few years. Yet, as we have written about before, there is one extraordinary important issue about the link between natural gas production and climate change that is rarely being reported on in the US press nor is it usually part of the US debate about natural gas fracking and its impact on climate change. 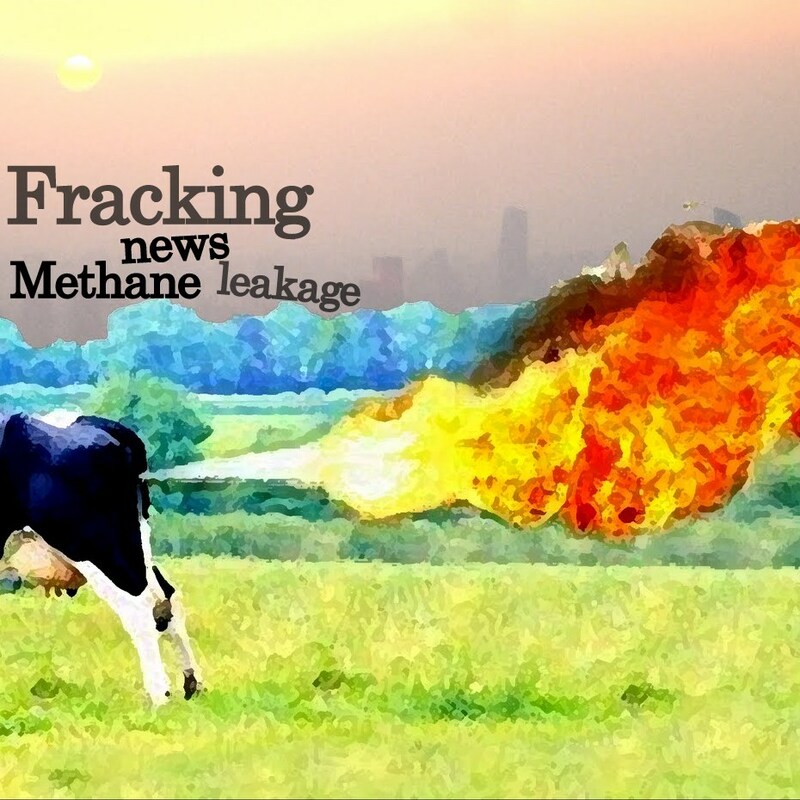 The methane leakage debate usually assumes if the methane leakage rate is low enough, switching from coal to natural gas as fuel should be welcomed by proponents of action on climate change. Yet what is notably missing in the media discussion of this issue is the urgency of moving to non-fossil fuels or energy technologies that produce very, very low carbon emissions to give the world any hope of prevent catastrophic climate change. Even if natural gas combustion creates approaching 50 percent less CO2 equivalent per unit of energy produced, an amount which is well beyond best case on ghg emission reductions, it will not create the much greater emissions reductions necessary in the next 30 years to give any hope of limiting warming from exceeding levels that will cause catastrophic impacts. In short, natural gas combustion can’t produce the the emissions reductions that are needed just a few decades to put the world on a safe ghg emissions pathway. Also investment in natural gas facilities may delay the needed rapid switch to non-fossil fuels. Although natural gas switching might help reduce the threat of climate change threat if methane leakage rates are at the lower end of the range discussed in the scientific literature in the very short term, the world needs massive investment in non-fossil technology as soon as possible. In addition if coal combustion were to be replaced now by non-fossil fuel energy, it would help immediately much more than conversion of coal to natural gas combustion does in putting the world on an urgently needed ghg emissions reduction pathway needed to prevent catastrophic warming. In addition, large investments in natural gas combustion facilities will likely make it harder to switch to non-fossil energy because these investors will likely demand a return on their investment in the natural gas plants before they are shut down. Large investment in cheaper natural gas may also increase energy demand to levels that result in greater total releases of ghgs even assuming that natural gas produces less CO2 equivalent on a BTU basis than coal. It is simply irresponsible for the US media to report on the methane leakage issue without explaining the urgency of moving to non-fossil energy. Of great concern, some natural gas companies are on the one hand claiming that natural gas is better for the climate change while they fight legislation to increase the US share of renewable energy. 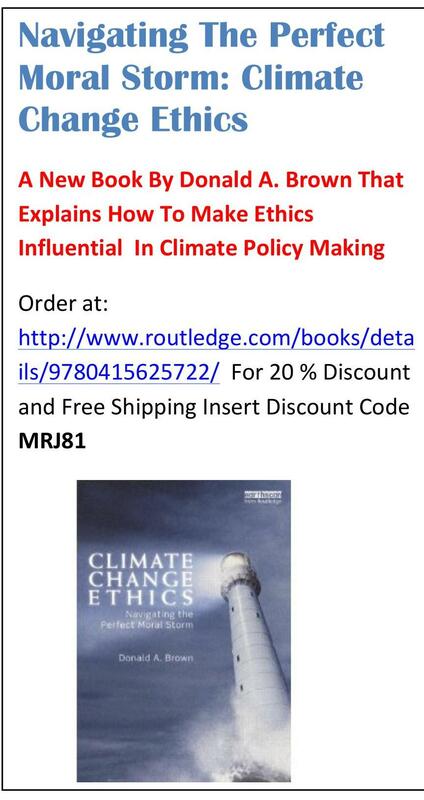 A strong ethical case can be made that any political support for natural gas as a short-term bridge fuel should be conditioned on the natural gas industry promising to stop lobbying against rapid scale up of renewable energy programs. This entry was posted in climate change ethics, General Climate Ethics, natural gas and climate change, renewable energy ethics, US media and climate change, US responsibilitlty and tagged climate change and morality, Ethics and Global Warming, fracking and climate change, global warming ethics, methane leakage and climate change, natural gas and climate, natural gas as a bridge fuel, natural gas fracking, US climate change policy, US media and climate change, US press and climate change, US response to climate change by dabrown57. Bookmark the permalink.